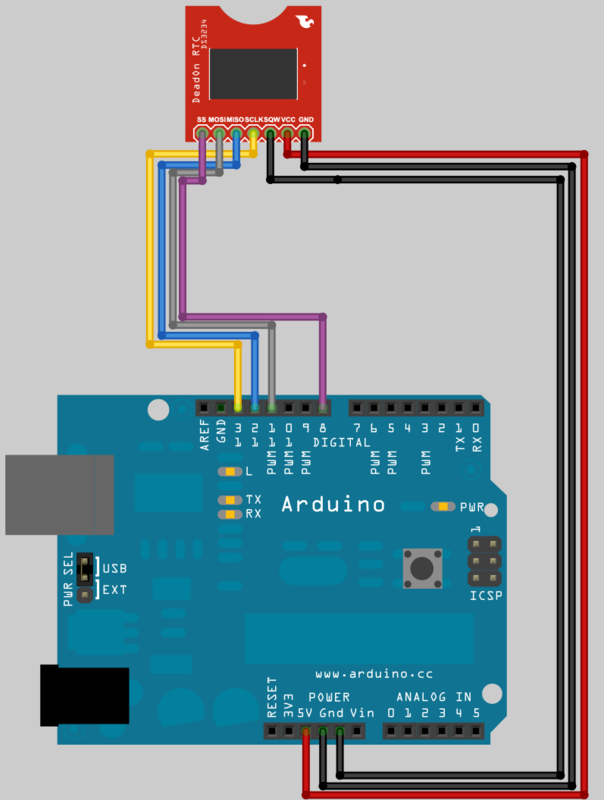 Arduino DeadOn RTC – DS3234 wiring example and tutorial. I recently purchased a Arduino DeadOn RTC DS3234 breakout board. (http://www.sparkfun.com/products/10160). Initially i was planning to use this as a (more accurate) replacement for a DS1307, only to find out that the DS1307 uses I2C whilst the DS3234 uses SPI. 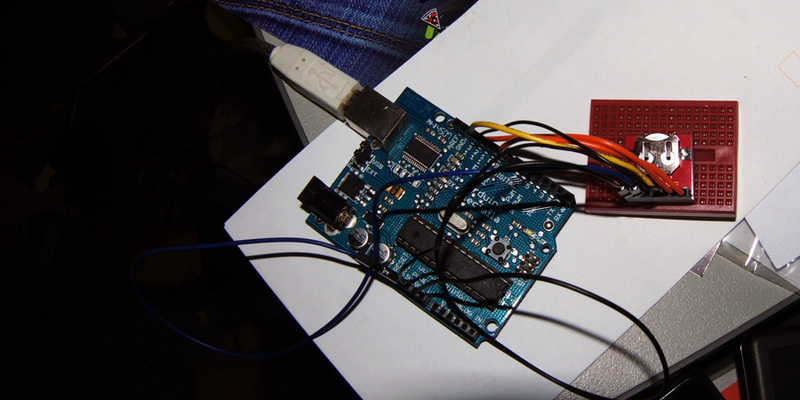 This blog post is written to hopefully help others avoid wasting an hour or so learning about this chip and how to get it working quickly and easily with an Arduino Diecimila/Duemilanove/Uno. In basic terms the I2C only uses 2 conenctions (Clock, Data) to communicate over the analog input pin 3 and 4 (Arduino help). In contrast the SPI uses 4 connections to communicate (SS – pin 10, MOSI – pin 11, MISO – pin12, and SCK – Pin13). (Read more at Arduino help). 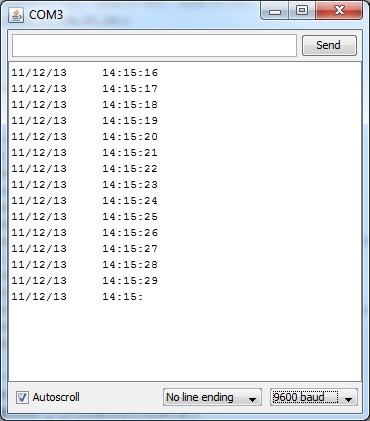 And so on, The code sets the time to 11/12/13 14:15:16 on boot, from there it increments second by second as you would expect. So success, if you have got this far your doing well. But lets get something that would be a little more use to us in our programs. Thankfully a user (manicbug) made a mod to the standard RTC library (As used with 1307 and chronodots), allowing you to utilise the same code and calls that you may have been using/were using/could use with a DS1307. You can jump onto the github service and download a .zip of the current release or you can use the copy that I’m writing this tutorial with (so it should work) here. Extract the folder inside the zip into your arduino\libraries\ and rename the folder to “ManicbugRTCLib“, If you already have the generic RTClib installed it is best to move it out of the libraries folder(Otherwise it could call the original RTCLIB). Restart the Arduino software. With a new sketch paste in the following code, Alternatively you can go file -> examples -> ManicbugRTCLib -> DS3234. 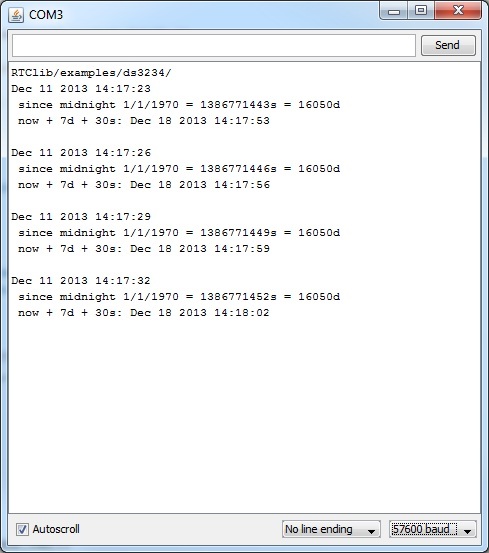 You will notice that the time is now formatted correctly, still as 11/12/13 14:16:17 (+ time since previous program). This is because the RTC has continued to run since your last program, The easiest way to fix this is to unplug the Arduino pop the battery out of the RTC wait 5 seconds then put the battery back in and connect the Arduino and compile& upload the program again (quickly if you want it super accurate). This will set the time to the same time as the sketch was compiled and uploaded, from here it should continue on and keep time. Unfortunately after all this the SPI of the DC3234 uses pins that are already in use, looks like its time to buy or build a chronodot that can utilise the unused analog pins and keep similar accuracy. I Hope this tutorial helps someone out there, let me know how you go and what you think. I’m no expert with this, but I’m happy to stumble through and help. A lot of others are reporting similar problems, but I haven’t seen solutions posted. Any suggestions? Thanks, but i did grab the 1.0 libraries. Hopefully Arduino is using them and not the old ones. I will give it another go tonight with version 1.0 and see if I can get it working. I still haven’t figured out making the Manicbug library work however. Thanks a bunch, was really helful with the wiring and all! I’m having problems detecting the RTC is not running. When I use maniacbug’s example, and using the 022 libraries (I haven’t moved to 1.0 yet) I get the clock always starting at January 1 2000 00:00:37 (37 second delay of compiling and uploading) and never being set to the compilation time. The wiring is as per the diagram above. What might I be doing wrong? Do you know of any easy way to get this to just count up from zero seconds when it is turned on? Set it to 0 when the arduino starts (beginning of your arduinio program), and the RTC will start counting. So I am using the DeadOn RTC with and arduino Mega, I changed the pin connections according to the link you gave and the first code worked but I am facing problems with the second code. Did you remove the original RTCLib?